The NEW Guide Your Money Foundations Program for girls aged 7-12 years is NOW AVAILABLE from your State retail outlet. To support this we have been lucky enough to receive funding from Financial Literacy Australia (FLA) – a non-profit organisation whose mission is to advance financial literacy in Australia. 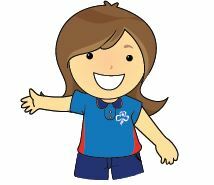 For further information on the FLA funding for Girl Guides Australia click here. For a full list of other projects that have been awarded FLA funding please download the brochure here. Seek to make or solicit judgments about what individuals expend their money on, but rather on creating the noted “pause point” where a conscious decisions on financial future is made and consequence is understood.